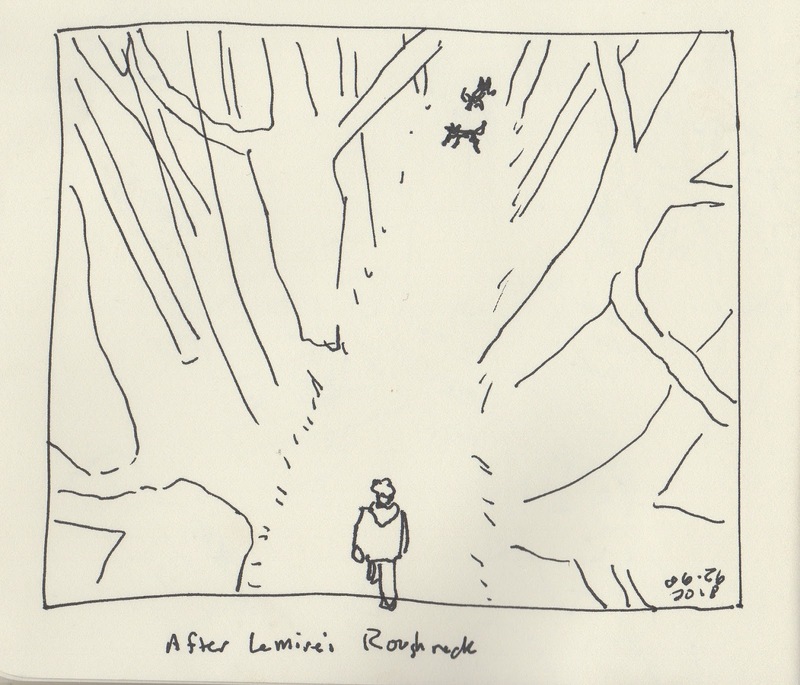 Lately I've been looking at how other comics artists draw people moving through the woods, especially from the perspective of the sky. My brain can't generate that on its own, and it's an image I want to be able to convey in my memoir. Inspired by how Jeff Lemire does it in his recent (and wonderful) graphic novel Roughneck, I drew this quick sketch. Obviously I imported myself and my dogs into the tree perspectives. This is helping me understand how the perspective guide in Procreate can help me too.